You spend your 20s doing your morning workouts while watching the exploitation films you’ve taped off of cable the night before. Time, as it does, swirls by and, one day, you find yourself acting in a movie with one of the actresses that you adored during those AM stretching sessions. It’s surreal. It’s a bit mindboggling. It’s also vital proof that life is full of surprises and asserts the fact that even when certain dreams crumble, other unexpected ones can replace them. Nicely, Dutch’s goal of bringing a sense of justice and harmony to the screen was amplified on the Chicago set. Firstly, in a moment of supreme camaraderie, she flew into Chicago to make sure that we were sharing the same space as performers instead of connecting through green screen magic. Supportively, our mutual friends at the award winning AlleyCat Comics allowed us to film in their open courtyard space while director Chad Hawks returned (from the original production) to guide us, with caring conciseness, through our paces. Granted, my role as interviewer to Dutch’s heroic interviewee felt pretty natural…but I still had to, metaphorically, pinch myself from time to time. Luckily, I was also aware enough to appreciate the significance of the afternoon. I was surrounded by loved ones and positive energy (and beautiful weather) doing something creative and incredibly fun. This joyous enthusiasm wasn’t contained to just the set either. A trip to a local ice cream shop, during a break, brought out a new sense of excitement as Deborah, still in costume, got quite a response…not only for her ensemble, but for the film, as well. Of course, you, too, can keep apprised of everything that is happening, goddess-style, at https://www.facebook.com/hollywoodwarrioress/. Those who were lucky enough to meet actress Betsy Palmer, who died at the age of 88 this past weekend, in person, often found themselves inundated with delightful information. Mention her role in a production of Countess Dracula in 1979, at the Studio Arena Theatre in Buffalo, and she’d blush with love for that particular character and then swiftly reminisce about how she had to make the quickest and most difficult costume changes ever imagined during its run. 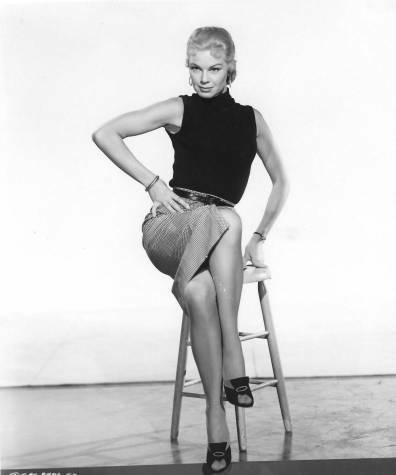 Producing a leggy, cheesecake photo for her to sign, would elicit a remembrance of how all the young starlets in the 1950s, no matter how serious their intentions, were required to pose for such seductive publicity images. Inquire about her long run as a game show guest during television’s golden years and she’d reveal how she never got to see herself in any of those productions as they were all performed live. For those who didn’t make Ms. Palmer’s acquaintance, and even for those who had, director S. Shane Marr does the world a great service with Betsy Palmer: A Scream Queen Legend in Her Own Words. Marr, who worked with Palmer on Bell Witch: The Movie, was so enchanted by Palmer’s show biz stories that he ingeniously decided to have her sit before his camera and talk to it as if it were an eager new friend. We get the familiar Friday the 13th story. Palmer’s car broke down and needing the $10,000, she accepted the role of Mrs. Voorhees even though she hated the script. Palmer delights in the irony that while this killer mommy is her best known role, her decision was initially made because she thought that no one would ever see the film. It is interesting to watch her make sense of her place in film history and hear her analyzing the appeal of her most popular character. 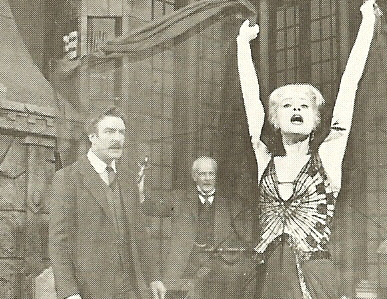 More than that, we learn of Palmer’s humble beginnings and her gradual indoctrination into an acting career. She regales us with stories of working with famed director John Ford and the behind the scenes controversies of one of her earliest, best known films Mister Roberts. We are, also, told that she actually got along with the combative Joan Crawford on the set of their film Queen Bee. One of the most interesting stories is about her adventures making the obscure, low budget The True Story of Lynn Stuart with Hawaii Five-0′s Jack Lord. Apparently, the real Lynn Stuart visited the set and brought more attention to her presence by elaborately masking herself then if she had just shown up and silently observed. It would have been nice to have learned something about Palmer’s other genre credits (1999’s The Fear: Resurrection and 2005’s Penny Dreadful) yet she does speak glowingly of the Bell Witch: The Movie and of her then hopes to be involved in any sequels. Overall, Marr allows us to see Palmer as she truly was – warm and sharply inviting. Here, she, ultimately, proves herself to be that lively aunt or grandmotherly figure that has lived a life that most could only dream of. It’s a visual document that makes her passing all the more bittersweet. 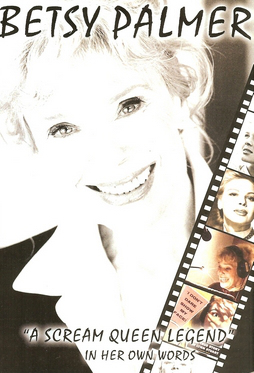 Betsy Palmer: A Scream Queen Legend in Her Own Words is available for free viewing on YouTube and for purchase from Amazon in various formats.